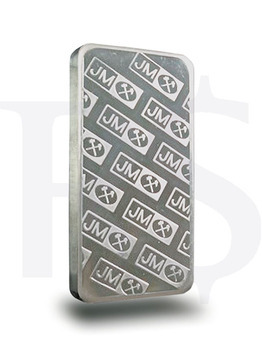 Stock Status: Limited edition. No longer in production. These 10 oz silver bars are 99.9% pure silver, carry a unique serial number, and come with a very handsome JM engraving. 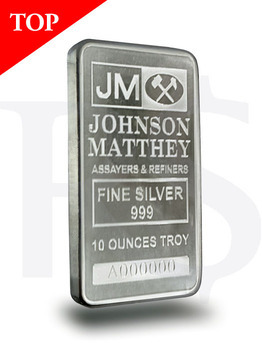 The front of each bar contains the inscription "JOHNSON MATTHEY, ASSSAYER AND REFINERS, FINE SILVER 999, 10 TROY OUNCE," and the unique serial number. Made in USA.